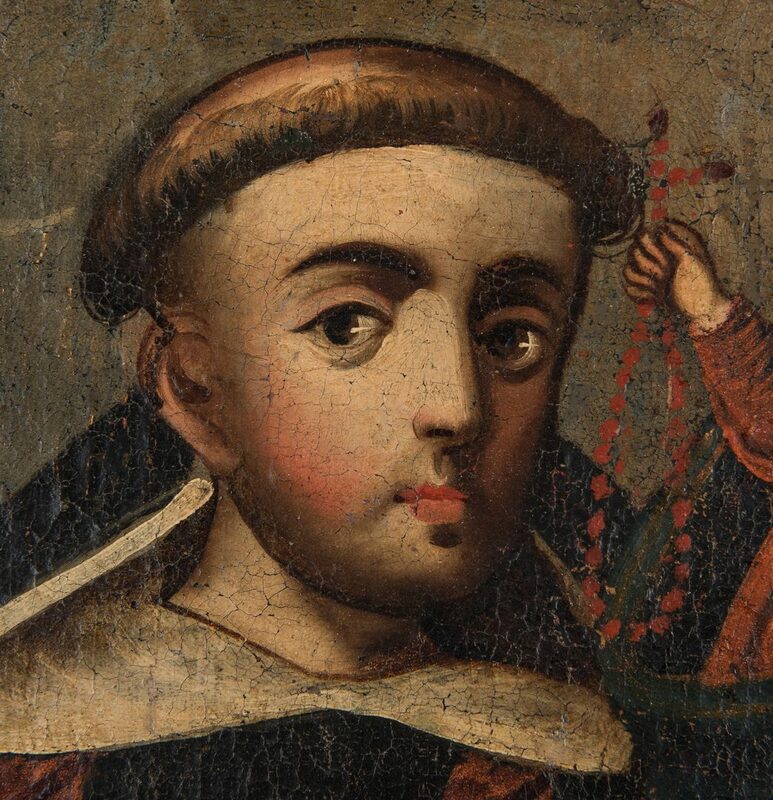 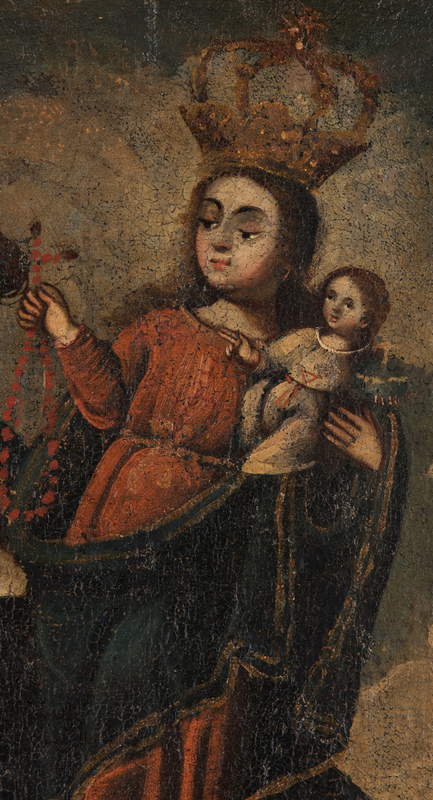 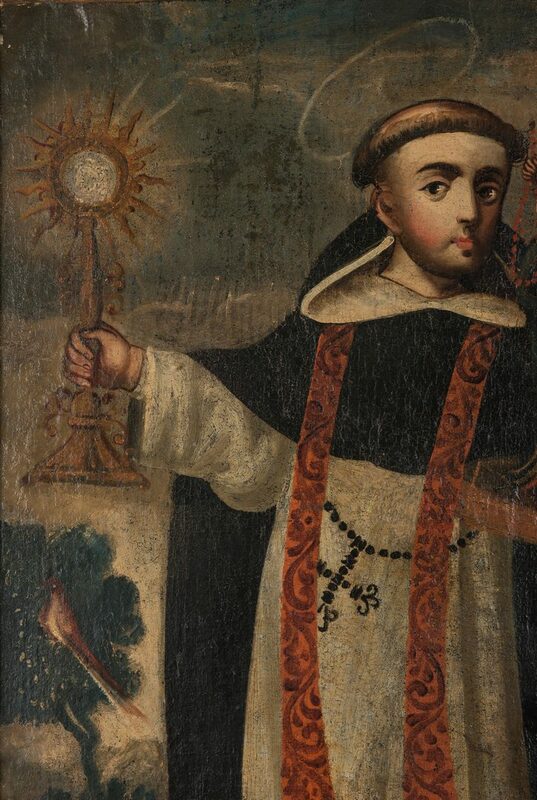 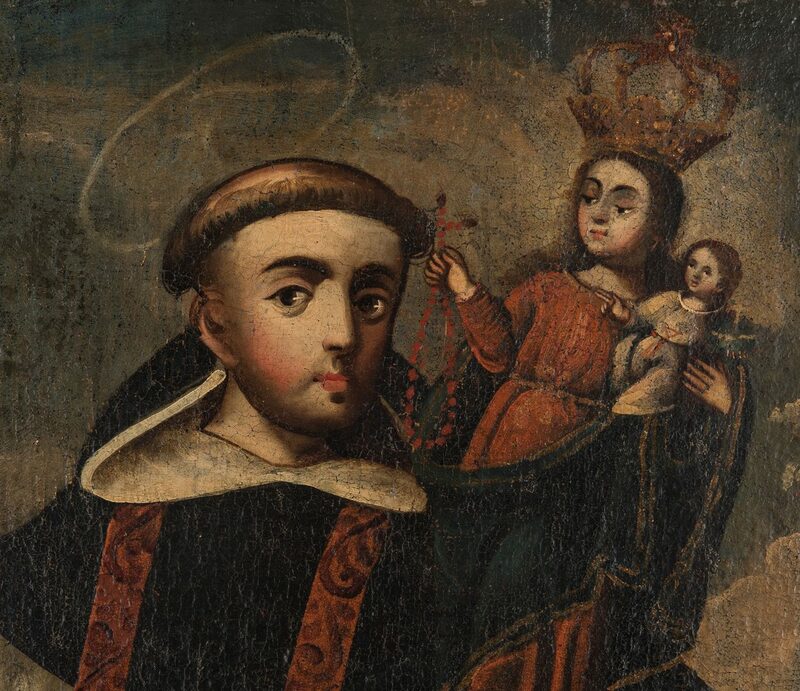 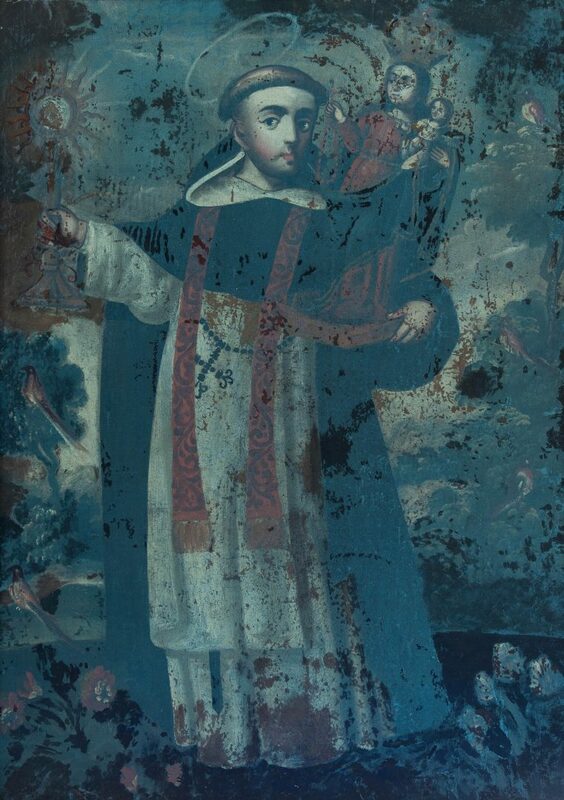 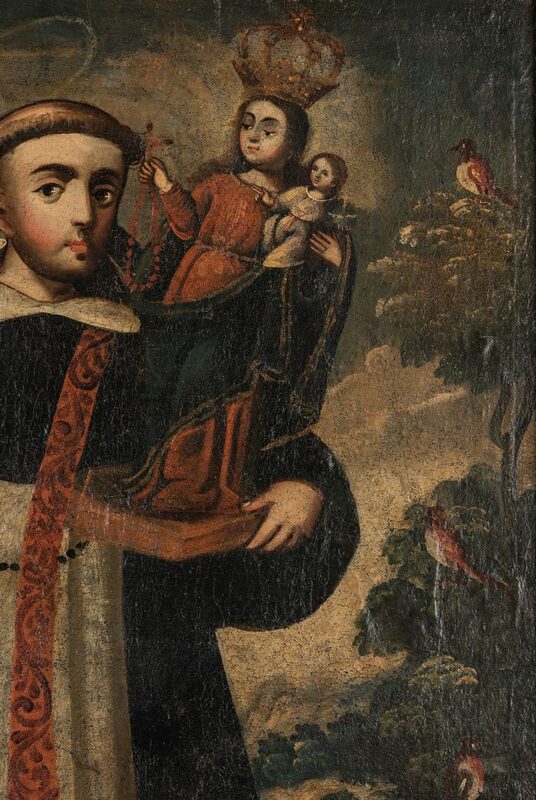 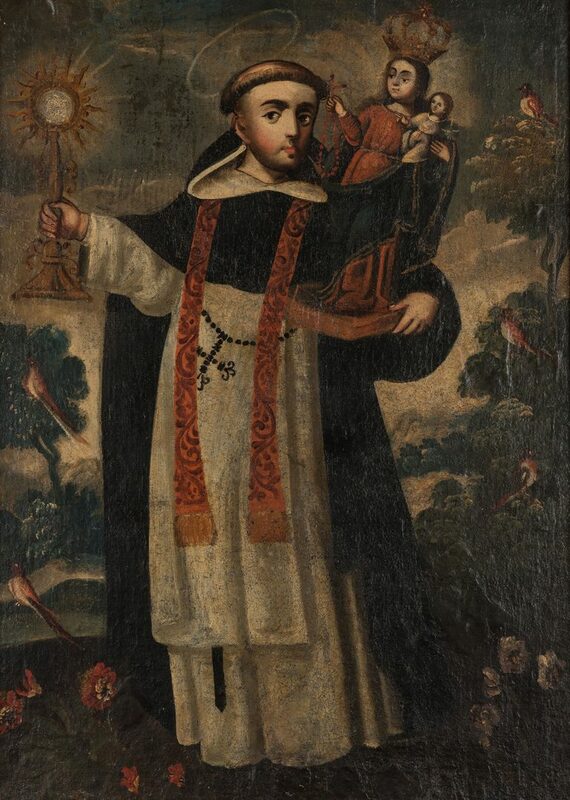 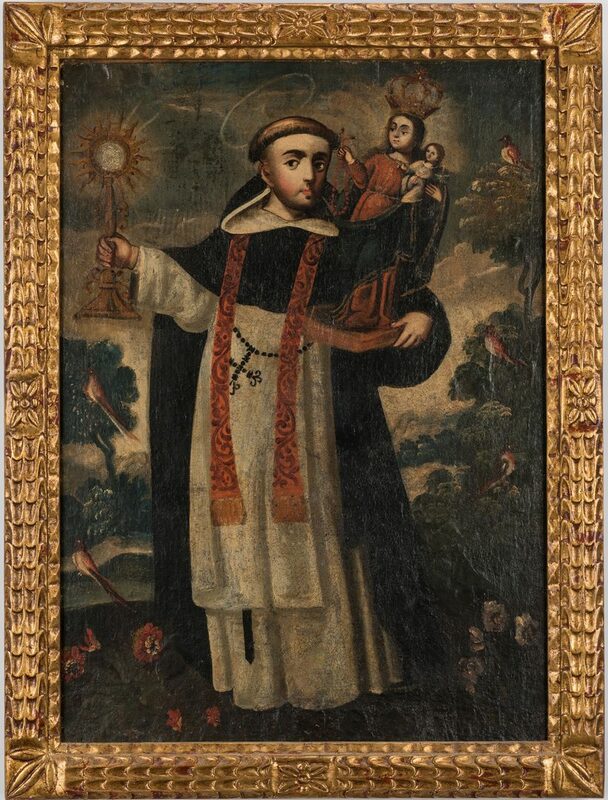 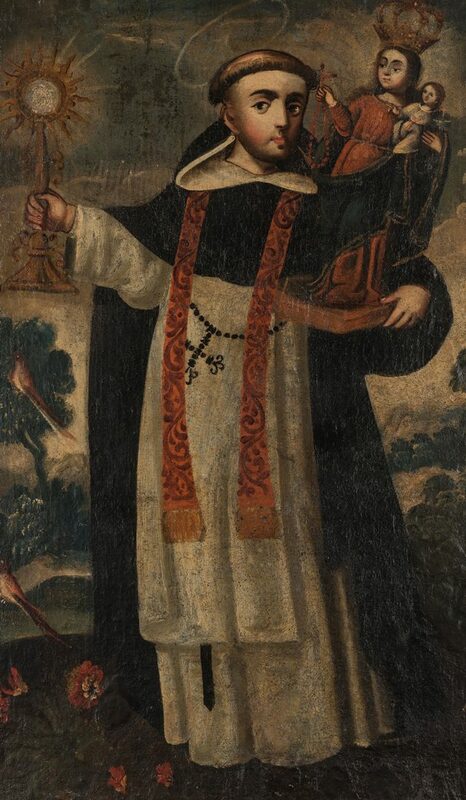 Spanish Colonial, likely Cuzco School, oil on canvas painting depicting St. Hyacinth holding a monstrance in one hand and a Virgin and Christ Child bultos in other hand, in a garden setting, surrounded by trees, songbirds and flowers. 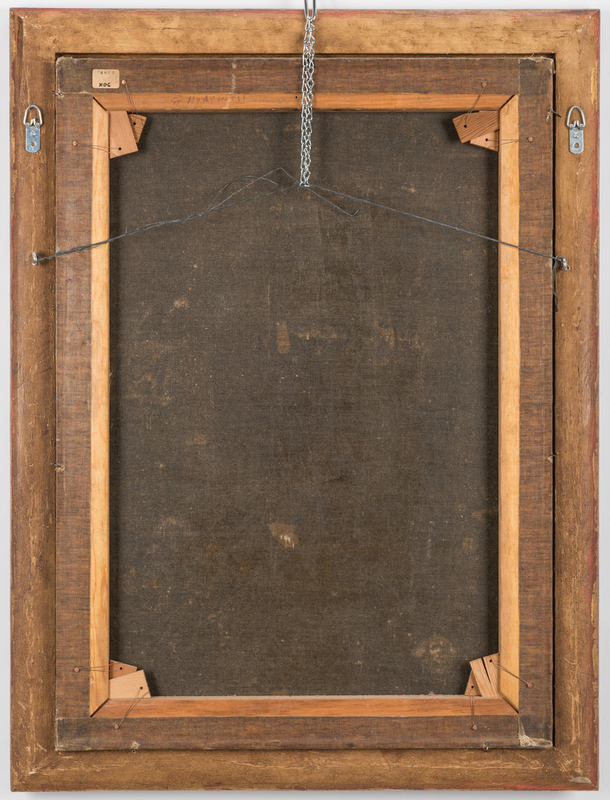 Housed in a 20th century giltwood frame. 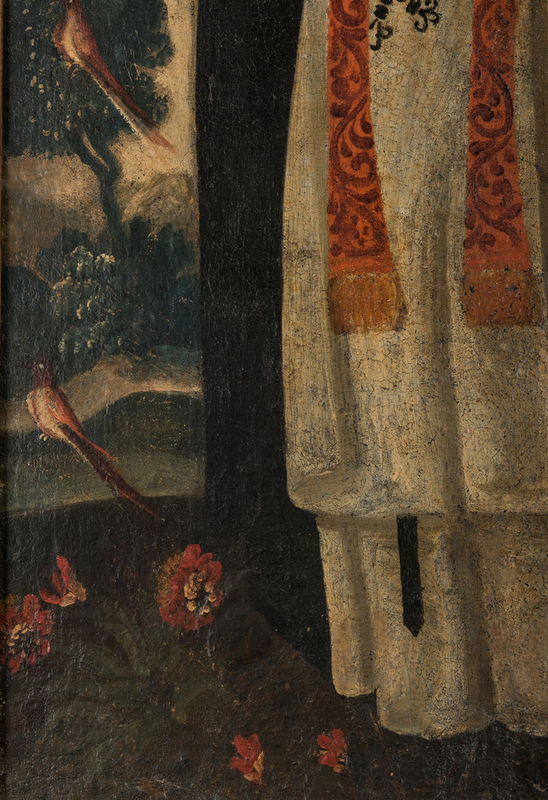 Sight – 31-3/8" H x 22-1/2" W. Framed – 36-5/8" H x 27-5/8" W. South America, likely Cusco, Peru, 18th century. 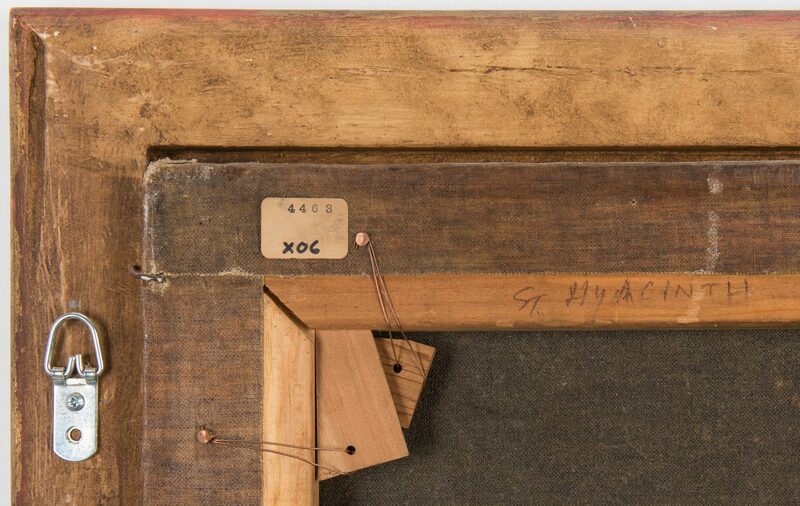 Provenance: The estates of Olen Bryant and the late Vanderbilt University art professor Thomas Brumbaugh, Clarksville, Tennessee. 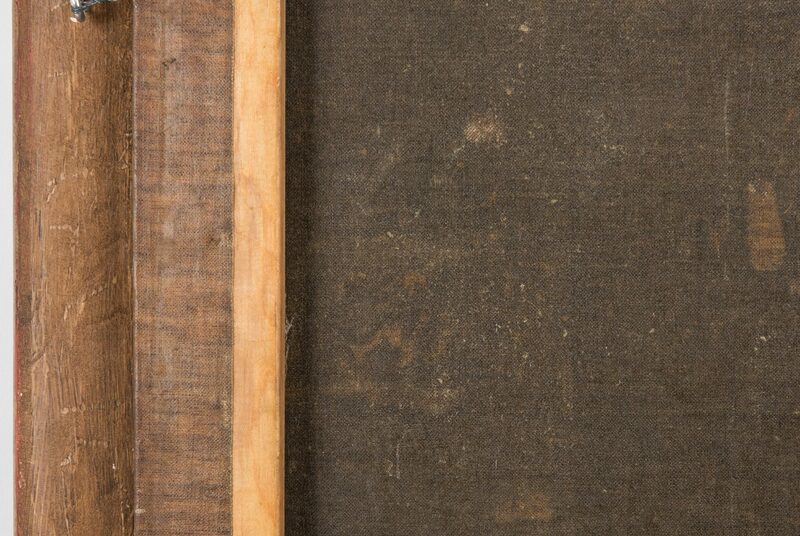 CONDITION: Two patch repairs on front in lower right quadrant. 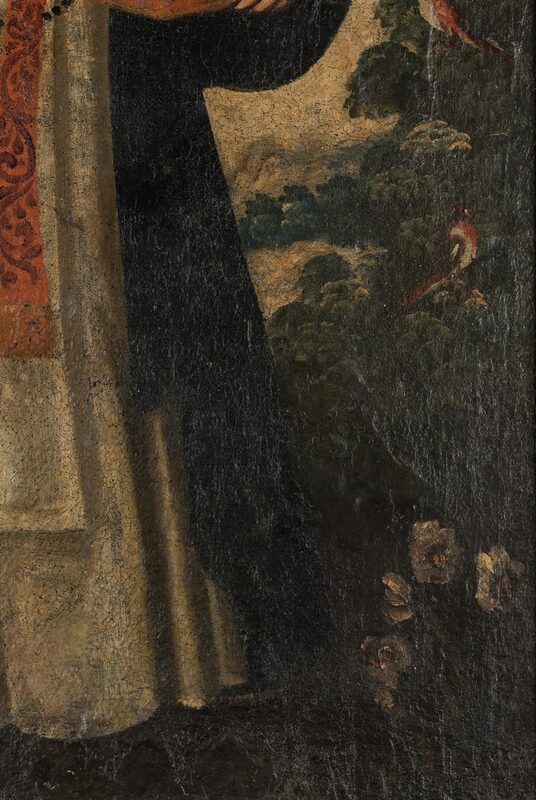 Wax lining.